Inqaba Biotech conducted a 5-day professional development workshop on phylogenetics at the IITA and Congo Basin Institute (CBI) campus in Yaoundé. The workshop was a refresher on the basics of handling phylogenetic data. Dr Wright (first from left) and other stakeholders during the workshop. 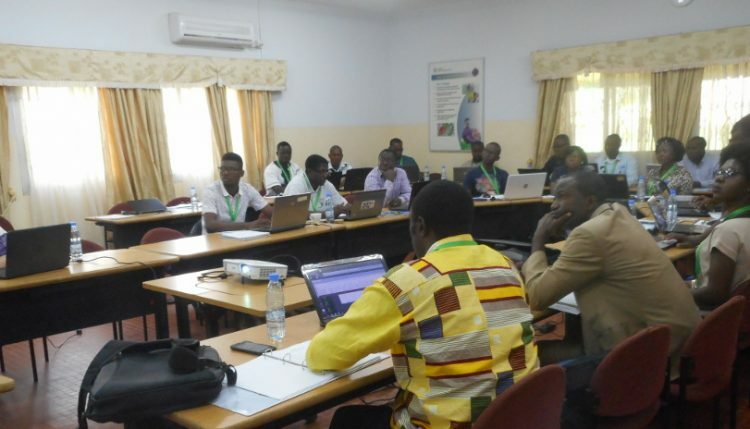 Researchers from IITA, CBI, Bioversity International, Centre Pasteur, the Universities of Dschang, Yaounde I, Maroua, Bamenda, and Buea, and other research institutions in Cameroon came together to get hands-on experience on analyzing phylogenetic data. The workshop facilitator, Dr Jane Wright from the University of Pretoria and Consultant to Inqaba, led all course modules. She first covered phylogenetics generalities followed by text editors, file saving, chromatograms, data mining and sequence alignment, construction of phylogenetic trees (distance methods, bootstraps), and primers design. All these topics were covered using available software and online resources. The participants expressed gratitude for this opportunity to develop their knowledge and skills on phylogenetics and to connect with the different institutions. A modern molecular genetics lab at IITA and CBI provides students and researchers with tools and resources to carry out the phylogenetics research. At the end, Rachid Hanna, IITA Country Representative thanked Inqaba for choosing the IITA campus for the workshop and looked forward to strengthening this private-public sector collaboration. He also encouraged participants to make the best of the knowledge and tools they have gained in this course to further their skills in phylogenetics. Wright offered to further assist participants in the analysis of their phylogenetics data should the need arise. The workshop ended by awarding certificates of participation.